Big grins! Momentous offer!!! Priced below MSRP! Why pay more for less? Price lowered** You won't find a better SUV than this outstanding Jeep. Climb into this considerable Wrangler, and when you roll down the street, people will definitely take notice... Gas miser!!! 25 MPG Hwy... 4 Wheel Drive!!!4X4!! 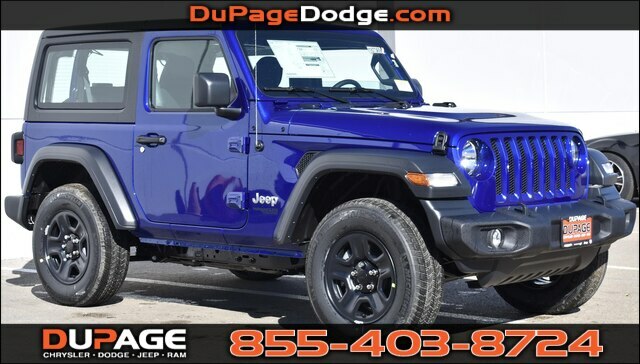 !4WD** Optional equipment includes: Transmission: 8-Speed Automatic (850RE), Air Conditioning, Black 3-Piece Hard Top, Engine: 2.0L I4 DOHC DI Turbo eTorque..., FREE LOANERS!!!!!! PICTURES ARE FOR ILLUSTRATION PURPOSES ONLY.